Introducing BA's Newest Signing Sports Team! We are happy to announce our newest signing, Sports Team! 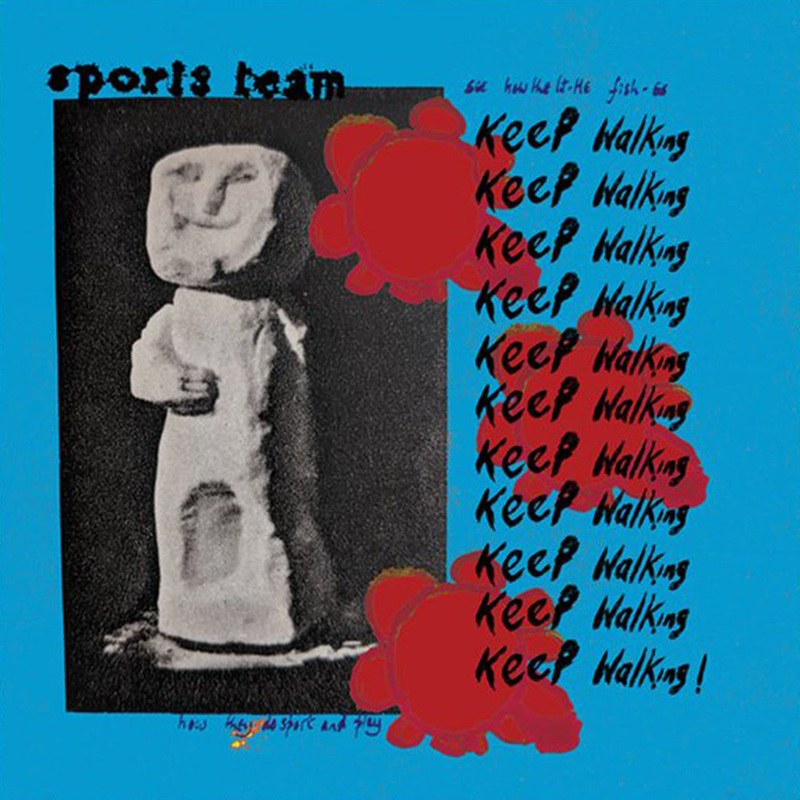 Sports Team’s first release came in January 2018 with their “Winter Nets” EP, and they have since established themselves as one of the UK's most loved new bands. Out of the gate, the band wowed fans and media alike with a strong early buzz from their live shows, and ended an impressive run with the headlining slot at the BBC Introducing Stage at Reading and Leeds. To finish a huge year, the band delivered an electrifying performance at London's 800 capacity Scala before gracing their first covers on both DIY and long-time supporters So Young magazines. Frontman Alex Rice was even named as one of Vogue’s ‘50 Hottest Boys in the World’! Radio support is just as strong. 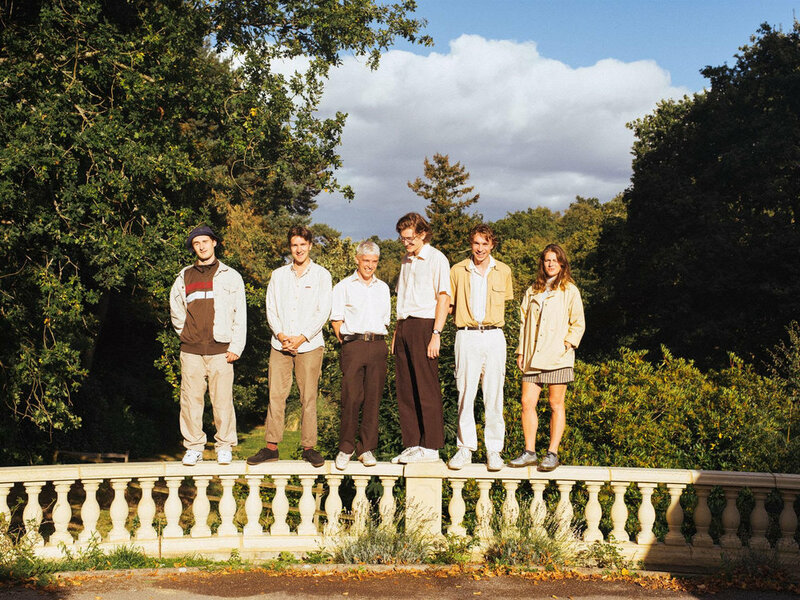 Early single ‘Kutcher’ was named Annie Mac’s ‘Hottest Record in the World’, trademark track 'Camel Crew’ was declared Noisey's “10th best song of 2018,” and EP cut ‘Beverly Rose’ won Steve Lamacq's Round Table. The band started 2019 by picking up where they left off, with the release of January's anthemic 'M5', a single that was named Annie Mac's Track of the Week, and one that backed up the band's seemingly audacious arena claims. Their “Keep Walking!” EP shows a band nearing the peak of their songwriting powers, and further solidifies the sextet's standing as the UK's most exciting new band. Roman Lewis's Debut EP "Heartbreak (for now)"! Roman Lewis’s debut EP “Heartbreak (for now)” is available everywhere you listen to music! Lewis’s Debut EP “Heartbreak (for now)”! Catch Roman’s dance moves in his psychedelic video for “Ways”! The video was inspired by the '80s jam, “Once In A Lifetime” by the Talking Heads. You can watch the video HERE! Happy Holidays from Bright Antenna Records! This year we released incredible music, signed new artists, made beautiful videos, danced at shows all over the world, and got two new office dogs. Thanks for listening & supporting our artists. Happy Holidays and Have a Great 2019! Braden, Harris, Tiffanie, Natalie, Scott, Cielle, Matt, and Kazoo & Dipsea! Kyle Nicolaides' debut EP "Now or Nowhere Vol. 1"
Kyle Nicolaides from Beware of Darkness releases his debut EP ‘Now or Nowhere (vol 1)”! Intern at Bright Antenna Records! Bright Antenna is looking for a part-time paid intern/office assistant to join our small rockstar team and provide general support to our office staff. Schedule is flexible but will generally be about 8-12 hours a week. Apply today! MONA is heading out on a massive world tour this Fall and Winter! The band will be all over Europe and the UK with The Fratellis, The Twang, and Daughtry. GET YOUR TICKETS NOW ON MONA’S WEBSITE ! In The Valley Below is back with a vibrant video for their new song "Desperate Dance"! Plus enter their Toneden contest to win the (signed!) masks from their new video + a $100 Visa card! Happy to announce the new single from Mona, out now! Wilderado on tour this summer! New Release: MONA’s Kiss Like a Woman! New album by The Wombats ‘Beautiful People Will Ruin Your Life’ out Feb 9. Flagship is headed across the USA this September opening for Mondo Cozmo! ‘Elephant’ EP by In The Valley Below out now! Watch the new Beware of Darkness music video for ‘Summer Daze’!